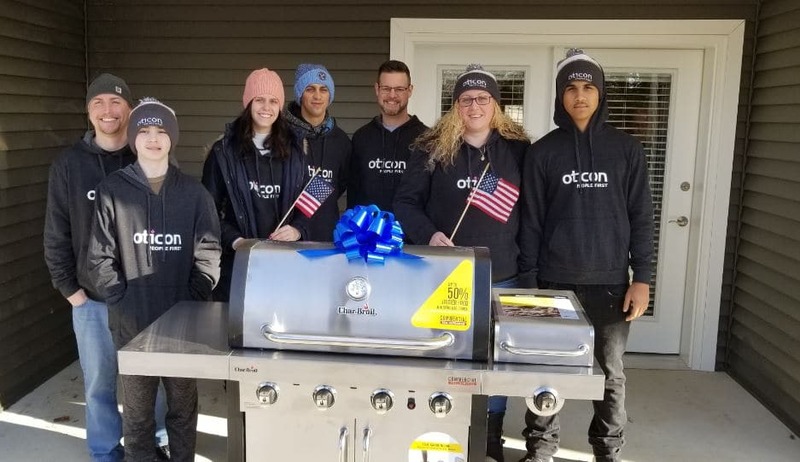 SOMERSET, NEW JERSEY – Oticon Government Services Manager Tom Dowd recently joined with Homes For Our Troops, government and military officials in a ribbon-cutting ceremony for the newly built, specially adapted custom home for Army Corporal Kevin McCloskey. Homes For Our Troops (HFOT) is a privately funded 501(c) (3) nonprofit organization that builds and donates specially adapted custom homes for severely injured post-9/11 Veterans, to enable them to rebuild their lives. 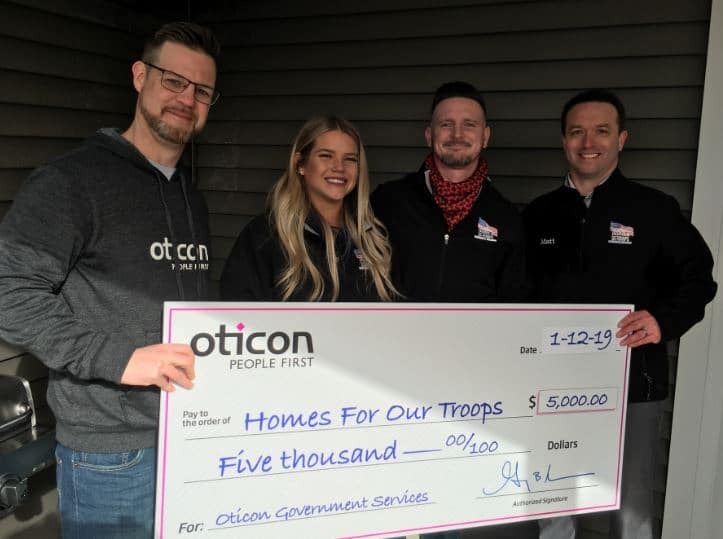 This is the third year that Oticon has designated a $5000 donation to support construction of a specially adapted custom home for an injured veteran. At the ceremony, Dowd presented a $5000 check from Oticon to HFOT Manager of Corporate Philanthropy Matt McGuire to support the home build. Following a flag raising and color guard presentation, the McCloskey family welcomed visitors to tour the new four-bedroom, two-bath, specially adapted custom energy-efficient home. The right-size home, like all HFOT homes, is designed to restore some of the freedom and independence of American veterans. McCloskey was injured in Afghanistan and sustained the loss of both his legs, vision loss in his right eye, burns over his body and a traumatic brain injury. Homes For Our Troops (HFOT) is a privately funded 501(c) (3) nonprofit organization that builds and donates specially adapted custom homes nationwide to severely injured post-9/11 Veterans. 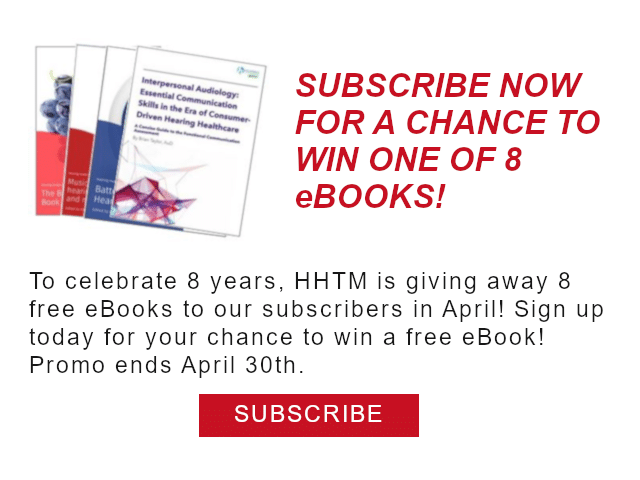 Most of these Veterans have sustained life-altering injuries including multiple limb amputations, partial or full paralysis, and/or severe traumatic brain injury (TBI). These homes restore some of the freedom and independence our Veterans sacrificed while defending our country, and enable them to focus on their family, recovery, and rebuilding their lives. HFOT builds these homes where the Veteran chooses to live, and continues its relationship with the Veterans after home delivery to assist them with rebuilding their lives. Since its inception in 2004, nearly 90 cents of every dollar spent has gone directly to our program services supporting Veterans. For more information, visit www.hfotusa.org.